An existing 1950’s chapel in a typical Victorian London two storey residential streetscape. The chapel’s entrance presence on the street was somewhat anonymous and uninviting. With a growing congregation, the chapel also required existing space to be rationalised to accommodate them. 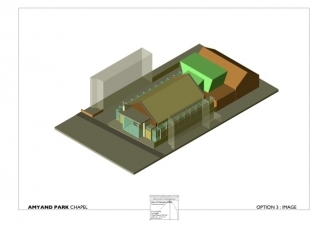 Three proposals were produced for presentation to the chapel elders offering a spectrum of possible solutions at different budgets and degree of disruption to the existing fabric. 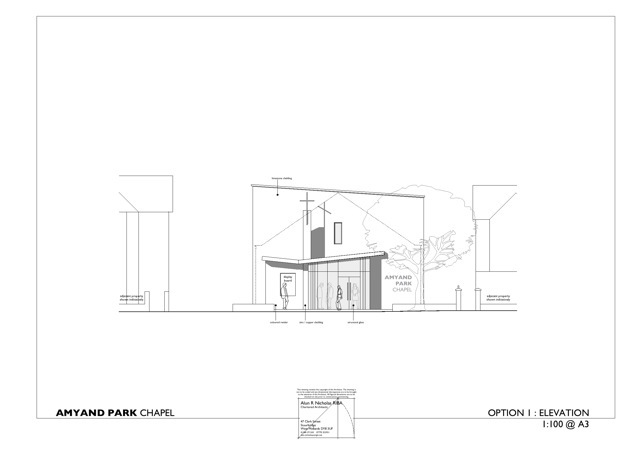 The first option focussed on providing a new contemporary entrance lobby area at the front of the chapel, disguising most of the 1950’s facade. 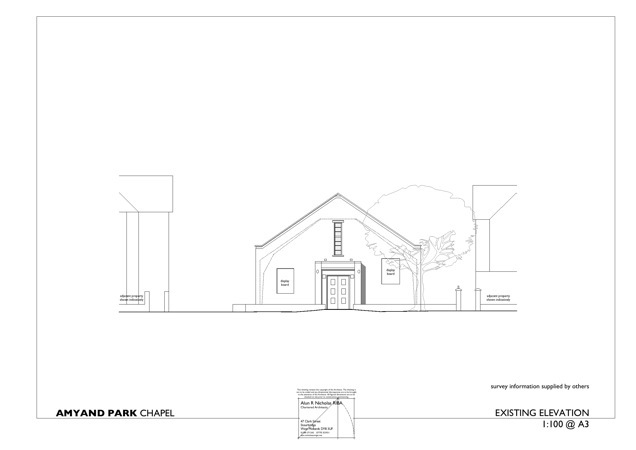 Along with a new front entrance area, the second option looked at introducing new side circulation spaces which would lead the congregation to enter at the back of the main chapel, allowing the speakers’ location to be flipped from the back to the front of the chapel. 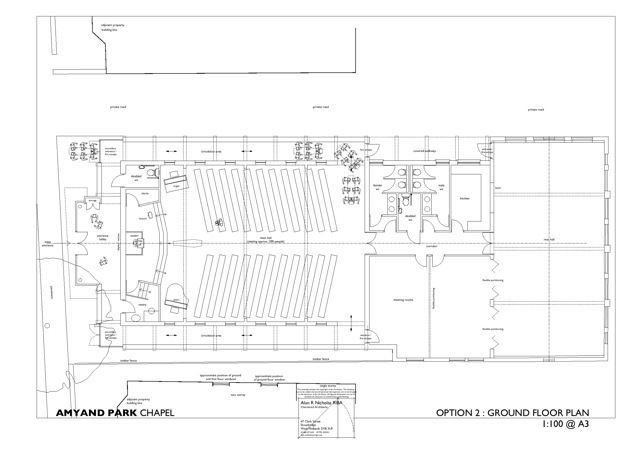 Opportunity was also taken to rationalise existing w.c. layouts and provide flexible meeting hall spaces with separate entrances. 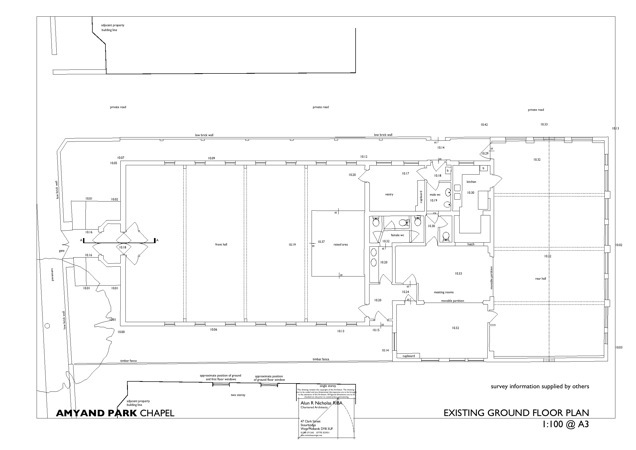 The third option incorporated the proposals of the second, but also added a balcony seating area to the main hall of the chapel to provide additional congregation seating. This balcony area would be expressed externally with a zinc/copper clad intervention to the rear of the main chapel. All options would express the additional volumes in contemporary style and material as befits the technologies required to facilitate them; the language of the building changing from one of single period to that of narrative chronology of the building’s history. 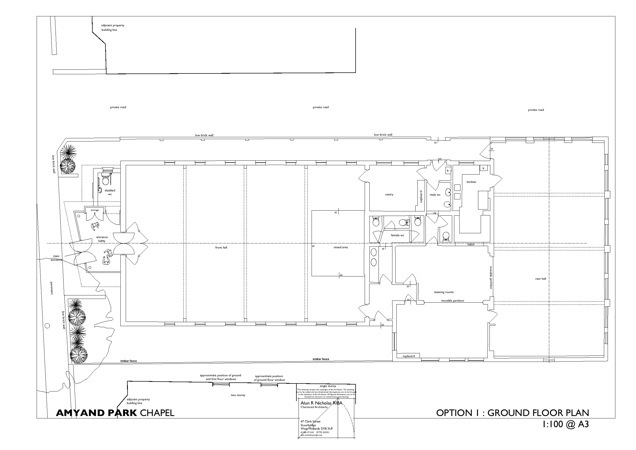 Engaged for feasibility studies only, the Chapel remains unaltered today. Whilst received exceptionally well by most of the Elders, some to a degree of awe, the proposals also invoked the aspiration amongst some to build beyond current budget and the expected political discussion that such matters generated.